I've used this 9ft pre lit tree for 5 years with no problems...until the unthinkable happens. I pull it out of storage, brush it all out, and then plug it in. FU*K!!!!!! The lights burned out. No biggie right? WRONG!! 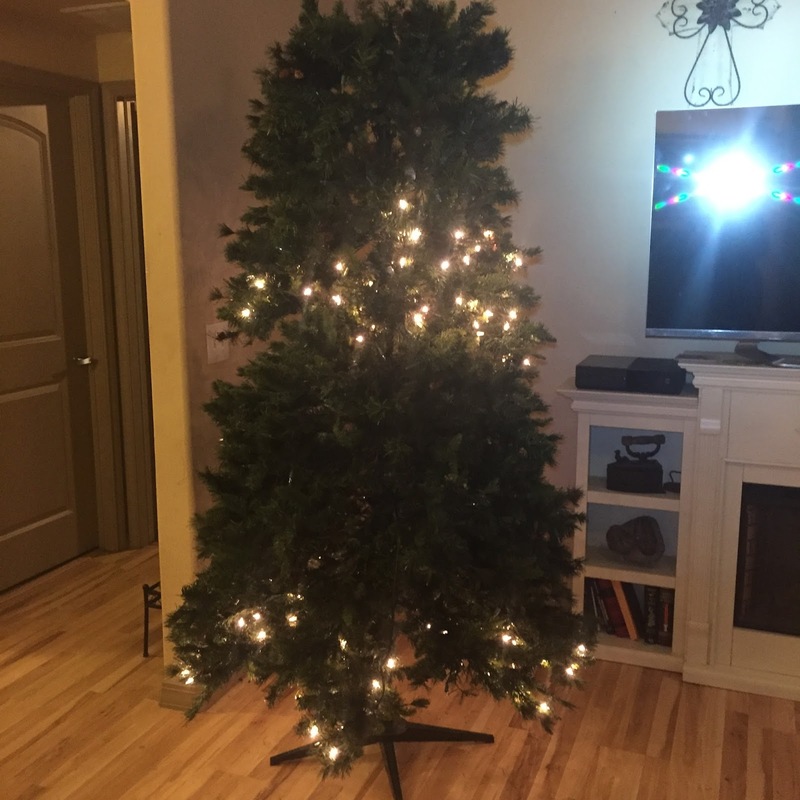 I bought it with lights! Which means I have to literally cut out each and every light bulb. 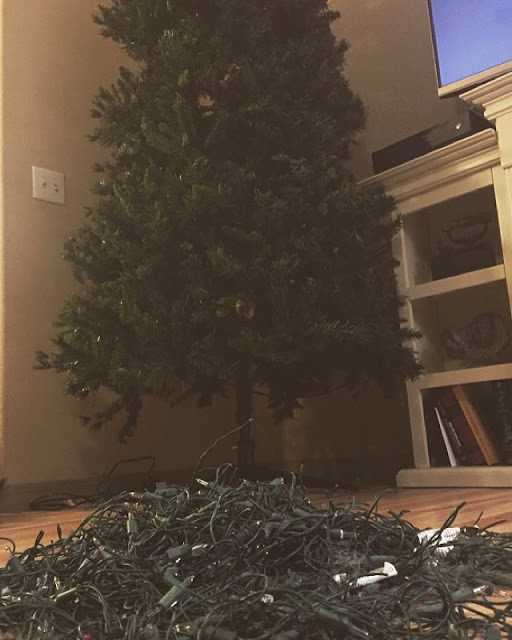 My husband says "no don't waste your time, just wrap new lights over the additional burned out lights". I'm a perfectionist, my Tree is my canvas and I take pride on decorating it each year. So what did I do? I cut out each and every damn light that the eye could see. Be warned you will cuss, you will have scratches all over my forearms, and hands. Your best friend will be a head light because lets face it, even if you think you have 20/20 vision you will miss tons of lights. It took me 6 total hours cutting out 1,000 lights from this pre lite tree. I will never ever buy another tree with lights sewn into it. Don't be fooled by the smile on my face in this pic. When you're Bestie from out of state asks you what you are doing you give them a selfie with a smile! Cutting lights can be very tedious but if you have the patients like me you will be fine. Just remembering the pile of lights being cut out brings back memories. 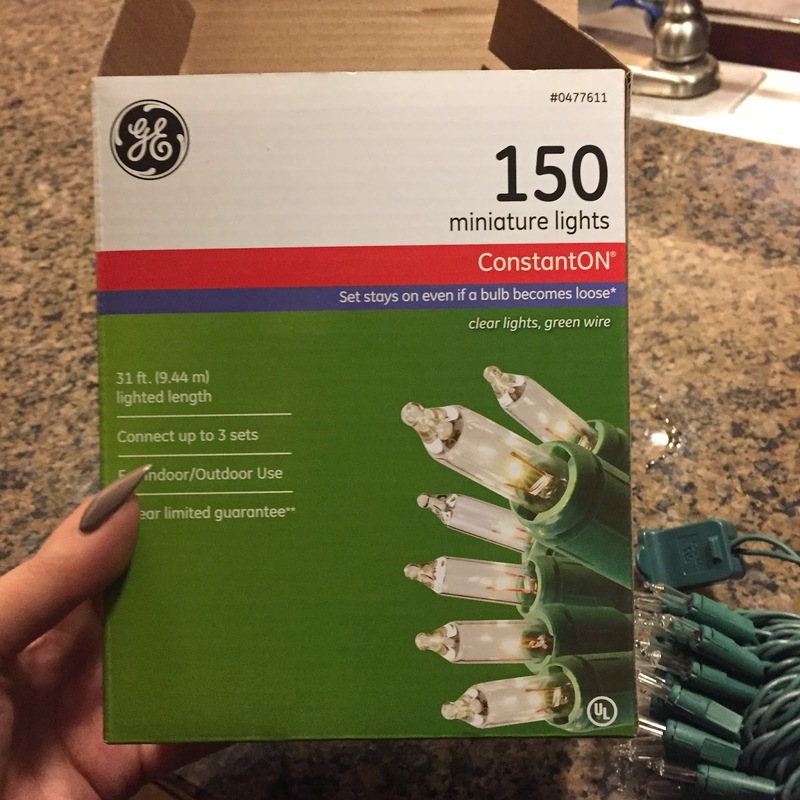 I ended up using 5 box of these lights - It was $2 each! 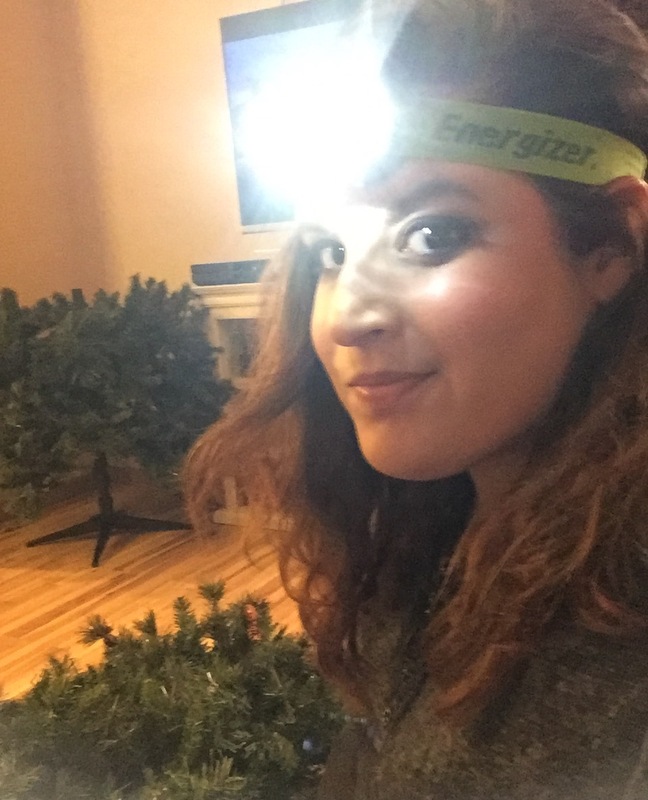 Here I am testing the new lights before I wrap them back into the tree from Hell. 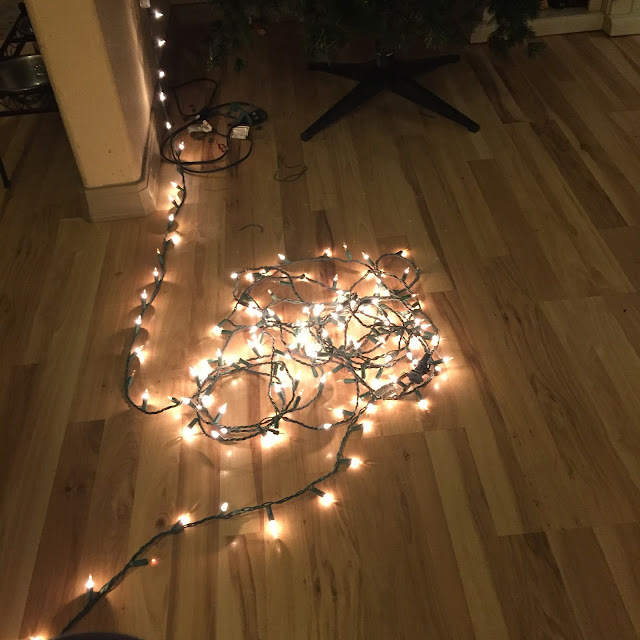 Always have the Christmas lights on so you can have a better direction of placement when wrapping your tree. Tada!!! Here the tree is finally Lit again as if nothing ever happened! Thank you for viewing this blog! 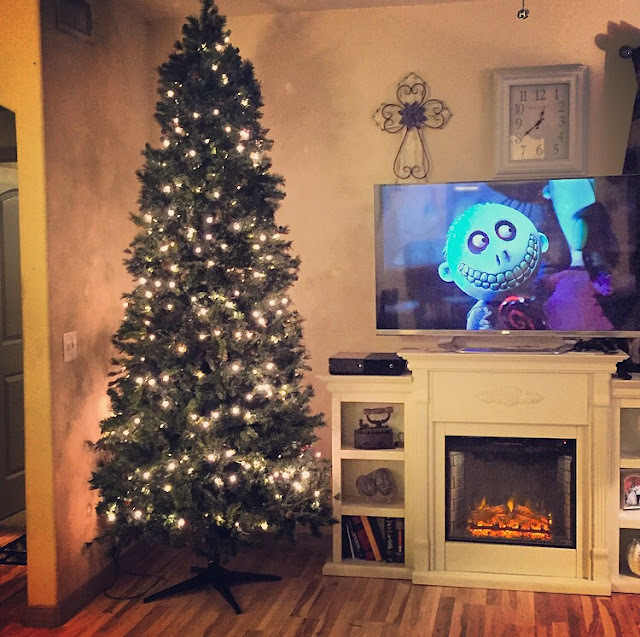 Please read my next blog to see how I ended up decorating it! You guys rock! Please continue to share my posts!